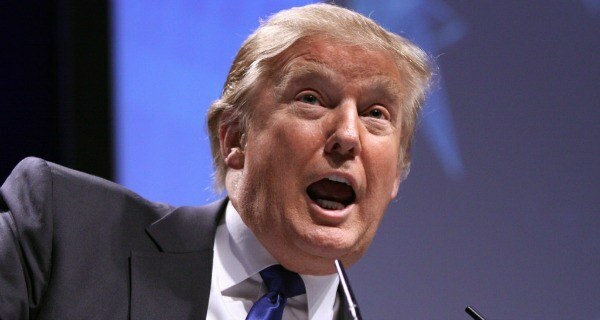 For no discernible reason, a large percentage of American voters perceive a lying sloth-faced buffoon, born of a trust fund, who has no regard for the truth, and who speaks openly in a racist and sexist manner, to be the very best person out of the 180 million adults over the age of 35 in the United States to be in charge of pretty much everything. Inexplicably, tens of millions of registered American voters believe that of every possible person, the most logical choice to head many aspects of government is a flat-footed, slippery-kneed, half-man-half-turkey who has not only never worked in government, but whose poor business decisions have led his companies to bankruptcy on four separate occasions. Researchers cannot find explanation for why a group of people that, taken together, may exceed the population of Tokyo, sincerely feels that a tiny-handed, spray-tanned reality TV star, who is best known for telling people that they are fired, will be the best leader of a country in which unemployment is a serious problem. At press time, the world’s experts simultaneously threw their hands up in disbelief at the fact that far, far too many living, breathing human beings seem to believe from the bottom of their hearts that a pointy-toed cyborg-man who once claimed that he could “stand in the middle of Fifth Avenue and shoot somebody and not lose any voters” is the best person to be in charge of the world’s largest military. 34 Brilliant Ideas That Need To Be Implemented Everywhere. Immediately.